We’ve got a couple brand new full trailers for you to watch for director Travis Knight’s upcoming Bumblebee movie! These things are packed to the brim with new footage, story details, wonder, and lots of exciting action! I’m extremely happy with what I’ve seen from this film so far and these trailers also gives us a look at a few other familiar faces from the classic animated series that actually look like characters from the classic animated series! I can’t wait to see this movie! It’s kind of a great feeling to actually be excited for a Transformers movie! Theres a solid chance that this is going to end up being a great film! Below you will find the new domestic trailer and an international trailer. It was also revealed that Bumblebee has escaped from Cybertron to Earth and he's being hunted down by a Decepticon jet. We thought this jet from the trailers was Starscream, but it's not. It's another Decepticon named Blitzwing. 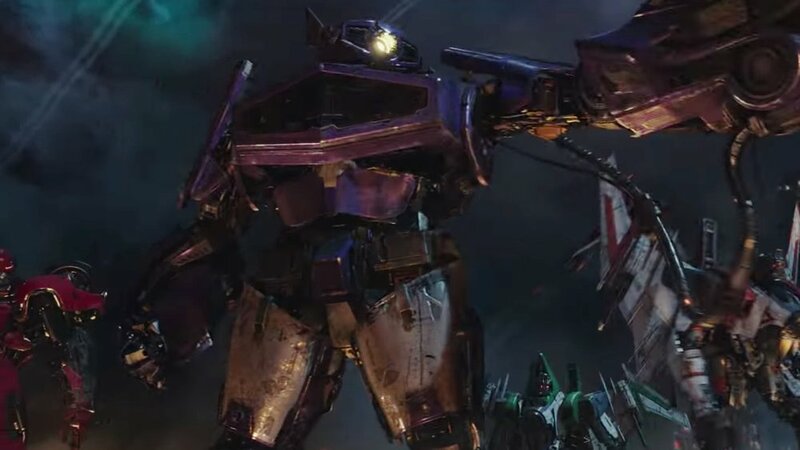 We also learned that two other Decepticon villains, Shatter and Dropkick, who are voiced by Angela Basset and Justin Theroux are also hunting Bumblebee, and they team up with the U.S. military to try to catch him, which is where John Cena comes in. These characters are triple-changer transformers! They turn into muscle cars, as well as a Harrier jet and helicopter. You get to see that in this latr=est trailer!